The number of young cancer survivors has increased over the past few decades due to improvement in treatment regimens, and understanding of long-term effects among the survivors has become even more important. Educational achievements and choice of educational fields were explored here. Five-year cancer survivors born in Norway during 1965–1985 (diagnosed <19 years) were included in our analysis by linking Norwegian population-based registries. Cox regression was applied to study the educational attainment among survivors of central nervous system (CNS) tumours, those assumed to have received CNS-directed therapy, and other cancer survivors relative to the cancer-free population. Logistic regression was used to compare the choice of educational fields between the cancer survivors at undergraduate and graduate level and the cancer-free population. Overall, a lower proportion of the cancer survivors completed intermediate (67 vs. 70 %), undergraduate (31 vs. 35 %) and graduate education (7 vs. 9 %) compared with the cancer-free population. Deficits in completion of an educational level were mainly observed among survivors of CNS-tumours and those assumed to have received CNS-directed therapy. 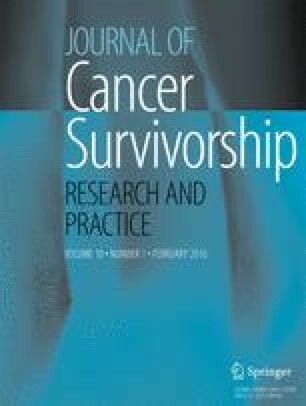 Choices of educational fields among cancer survivors were in general similar with the cancer-free population at both undergraduate and graduate levels. Survivors of CNS-tumours and those assumed to have received CNS-directed therapy were at increased risk for educational impairments compared with the cancer-free population. Choices of educational fields were in general similar. Careful follow-up of the survivors of CNS-tumours and those assumed to have received CNS-directed therapy is important at each level of education. The online version of this article (doi: 10.1007/s11764-015-0453-z) contains supplementary material, which is available to authorized users. This study was supported by the Norwegian Cancer Society. Norway CRo. Cancer incidence, mortality, survival and prevalence in Norway. 2011. http://www.kreftregisteretno/no/Generelt/Nyheter/Cancer-in-Norway-2010/. Accessed 7 March 2013. Norway S. Individually based education. 2013. http://www.ssb.no/english/subjects/04/90/nos_d361_en/. Accessed 7 March 2013. Research NMoEa. European Agency for Development in Special Needs Education. 2012. http://www.european-agencyorg/country-information/norway/norwegian-files/Gen_Education_in_Norway.pdf.